Yesterday morning we visited Holmberg Orchards in Gales Ferry to pick apples for the week and pick up some fall decorations (pumpkins). It was a beautiful day and the orchard was crowded, but well worth the trip. 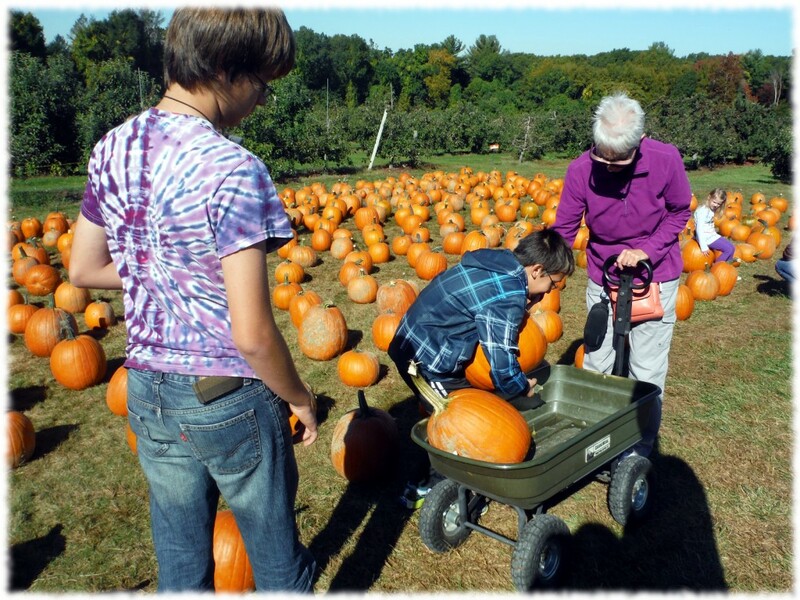 Will, Ben and Grandma Mary selecting the largest pumpkins that the boys can pick up (the rule was that if they couldn’t pick them up, we wouldn’t get them). 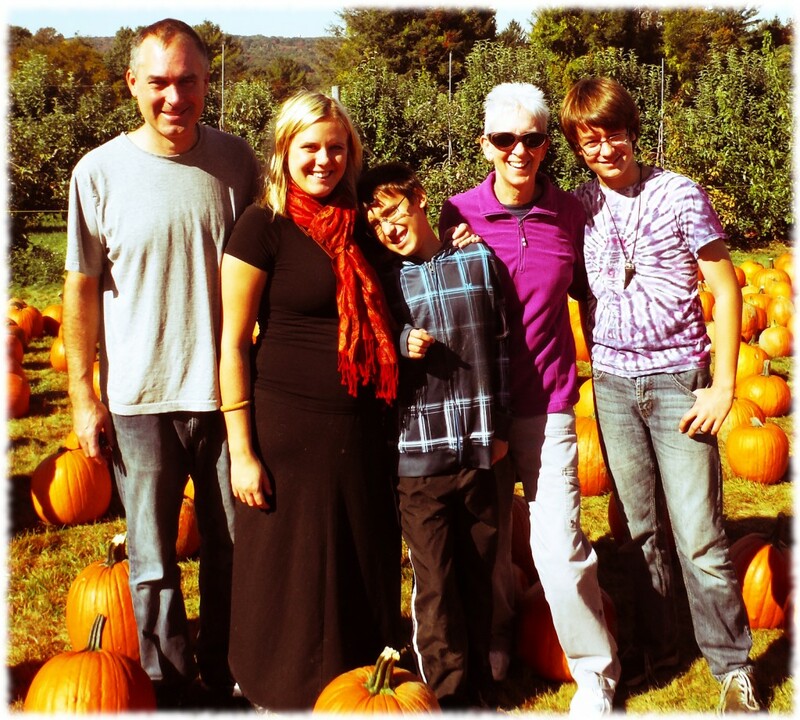 The whole family enjoying the perfect fall weather at the apple orchard. All 5 1/2 of us.